All content provided on this Web site, including but not limited to button icons, formatting, graphics, images, logos, software, and text, is the copyright of Clean-Able or its content suppliers and is protected by applicable UK and international copyright laws. The content on this Web site may be used for booking cleaning services. Any other use–including display, distribution, modification, republication, reproduction, or transmission of the content on this Web site is strictly prohibited. Copyright © 2010 Clean-Able. All rights reserved. Clean-Able and its affiliates’ trademarks may not be used in connection with any product or service that is not the property of Clean-Able, in any manner that is likely to cause confusion among customers, or in any manner that disparages or discredits Clean-Able or its affiliates. Other registered trademarks and trademarks used on this site are the property of their respective owners and are used herein solely for descriptive purposes. Mention on this Web site of trademarks held by other parties should not be construed as a challenge to said trademarks’ status or ownership. This Web site is provided by Clean-Able on an “as is” basis. Clean-Able makes no express or implied representations or warranties of any kind, as to the operation of the Web site, or the content, information, materials, or products included on this Web site. To the fullest extent permissible by applicable law, Clean-Able disclaims all warranties, express or implied, including but not limited to implied warranties of merchantability and fitness for a particular purpose. Clean-Able will not be liable for any damages of any kind resulting from the use of this Web site, including but not limited to direct, indirect, incidental punitive and consequential damages. Clean-Able will not be liable for any damages that may result from misrepresentation of age by a user of our Web site. Clean-Able does not warrant that the Web site will operate error-free or that this Web site and its server are free of computer viruses and other harmful goods. If your use of the Web site or the material results in the need for servicing or replacing equipment or data, Clean-Able is not responsible for those costs. Any images or clipart or photos used in this site may or may not be the property of Clean-Able, and any resemblance or similarity to other images or photos, or logos is incidental, and Clean-Able neither accepts or admits to any culpability in using photos or images or clipart or language. This site and its contents in their entirity were developed using a variety of vendors and software developers. Clean-Able accepts no culpability for any damages perceived or real, attributed directly or indirectly to the use of this site, or services contained therein, further Clean-Able is not liable in any way for the claims, misspellings, inaccuracy of any information or service or goods portrayed in this site. It becomes the responsibility of companies, or persons providing this tangible or intangible intellectual or real or otherwise valuable property to establish or agree on the use of any such property. The person or student or company developing this Is solely responsible for its verbage, language, or other content. 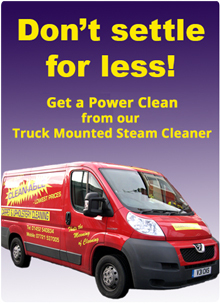 This Web site is created and controlled by Clean-Able in the United Kingdom. As such, the laws of the United Kingdom will govern these disclaimers, terms, and conditions, without giving effect to any principles of conflicts of laws. By use of this Web site you irrevocably consent for any and all disputes with Clean-Able to the venue of English courts located in the United Kingdom. If you access the Web Site from outside of the United Kingdom, you do so at your own risk and are responsible for compliance with the laws of your jurisdiction. We reserve the right to make changes to our site and these disclaimers, terms, and conditions at any time with or without notice to its users. The Web Site may contain links to third party Web sites. These links are provided solely as a convenience to you and not as an endorsement by Clean-Able of the contents on such third-party Web sites. Clean-Able is not responsible for the content of linked third-party sites and does not make any representations regarding the content of accuracy of materials on such third party Web sites. If you decide to access linked third-party Web sites, you do so at your own risk.